Facebook has offered an exclusive system of advertising on it by using video and the video ad on Facebook will directly catch the audience who are relevant to our designed ad. Facebook has made an advancement of allowing all the advertisers to participate in an auction which leads them to put some bid on the video ads that they are going to launch in the Facebook of required users based on the location and the audience preferences. 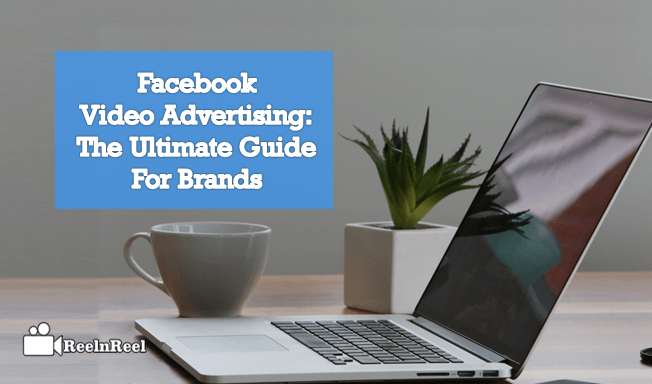 There are different examples of Facebook video which proved their caliber to generate optimized Facebook video ads by considering the Facebook designed specifications like the use of related ads, effective video ads, and insertion of call-to-action. There are no words to explain this ad. In this, the ultimate creation of the advertiser had emotionally touched the audience by placing two Bears representing old people of the missing family. This has been given happy ending by Heathrow to connect with their family. Here it is completely related to the people who want to get airlines of Heathrow. In this ad, we can find the ultimate visual effects of that Doritos are coming from the fast spinning washing machine and catching immediately. This is the ad where the visualization works. Here the legend of wrestling has revealed the secret of being strong by the comparison of weak one. At the end, we can find the Hefty which is blinking to visit. Moreover, they had added some fun which is more interesting for the audience. 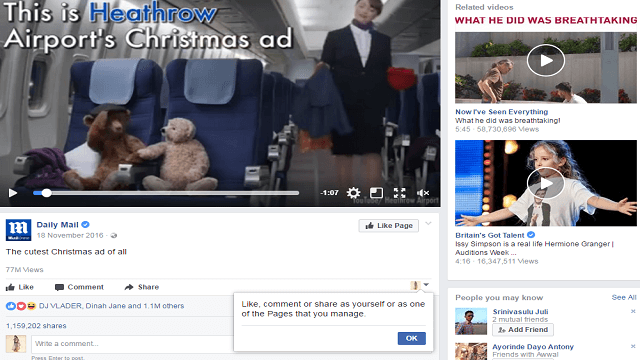 Facebook usually gives the competition between the video advertisers through a bid. But how much the Facebook cost to make video ads. The actual cost of ads per day is $1 and the cost of the ad changes depending on the location, days and ad types you choose. How to find better ways that reduce the ad cost? There are different types of ads like cost per action, cost per impressions and cost per action. This is the only thing which helps to find the result of the Facebook video ad either positively or negatively going on Facebook. This can be obtained through the activity of the audience by downloading, like or getting a response from the targeted audience. For this, you need to spend more than $20 per action on an average. $1 or more is enough if your target is to make the audience to download. Here you need to pay for the 1000 impressions which have been made after the 1000 people visit of your ad. The price may vary depending on your target. This is also hanging on the area you choose, company and audience target. If you choose the people of 45 to 54 old people then the cost per click is $0.29 on an average. In the UK the cost per like is about $0.55 on an average will be obtained. When you utilize $100 for each day and if you have CPC like $0.30 then you will get clicks like $100/$0.28=357 on one day and may vary on the second day. Generate highly qualified ‘video content’ that should be in the unique format. Insert the option of ‘call-to-action’ after the completion of playing a video which in return will clutch the more audience. When you fixed to gain the concentration of audience then you should not forget to make the extraordinary ‘thumbnails’. This will automatically lead huge traffic for your ad. Assign astounding ‘titles’ by adding a little bit of enthusiasm for your video ad that no one predicts. Try to immerse ‘celebrities’ related to films, sports or political who are being sensations for the current trend. Make ‘short and simple’ video ads at which the audience should not be bored. Select the ‘content’ that either emotionally or humorously touches the audience. Push the ‘multiple video ads’ at a time with different ad formats that really works. The concept of Mid-roll video ads sounds somewhat different. It can elaborate the stunning activity of Facebook in a commercial way. Mid-roll ads are nothing but the ads played in the middle of the playing video that is a 15 seconds ad will be playing within the video of about 5 minutes. When the audiences are completely in the world of watching that Facebook video then they will not bend their heads to stop watching that video then it could be more beneficial for the advertisers to explore their brands by displaying mid-roll ads. These mid-roll ads are placed in all types of Facebook videos of a news feed and making a strategy to run in the live videos. These ads are helpful in getting more conversion rate. Always prefer the Newsfeed video ads of mobile as it is the audience needed a device which can provide the call-to-action option along with a full screen to watch the video. Maintain the list of users who visited your blog or landing page to generate the multiple related ads. Use the best of best device to record the moments of the video with amazing backgrounds which can attain the attention of the audience with excitement to watch full ad. 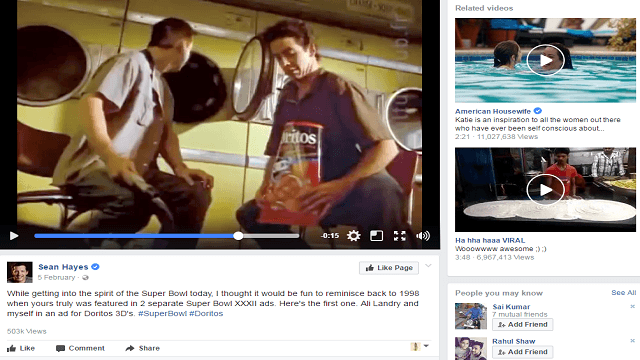 The main things to be on the list of Facebook best video ad upload that ad only on the Facebook that appears nowhere. Use the trending concept of Facebook 360 degree video as in your Facebook video ad. It could be more interesting to watch than regular video ads. Circulate something strange about the video ad that you created, and this makes to get more shares or whatever you mention below the ad will be obtained. All these strategies can make an ad to be the best fit Facebook video ad by reaching more than targeted audience. After reading this article you might get an idea of how the Facebook ads will function and their results after generating on Facebook. 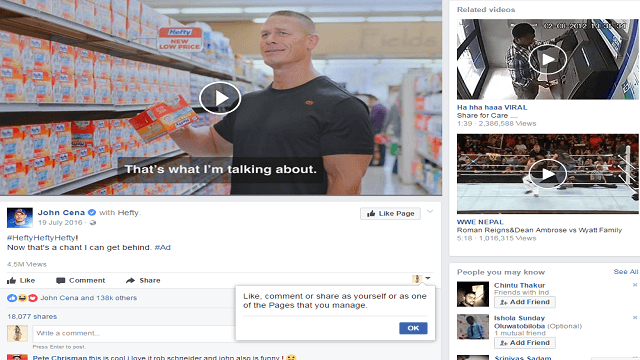 If you are a starter then you might find how to maintain Facebook video ads for the evaluation of branding.